We haven’t had a good biscuit in a while so when I saw Bahlsen Crunchy Mint Choco Moments I knew they were going straight into the basket. 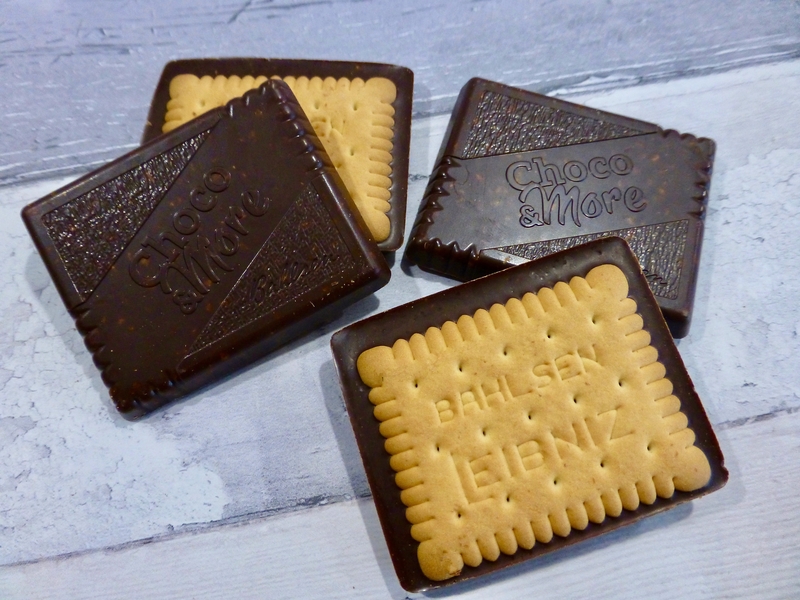 Bahlsen biscuits are one of my favourites, they’re a great size, fulfil the biscuit criteria and are always generous in the chocolate coating. Currently in two varieties – Crunchy Hazelnut and Crunchy Mint, these are the newest additions to the Bahlsen family. So what makes theses different to the rest? Well Bahlsen have not only added a textured crunch to their usual biscuits, and they have been even more generous with their chocolate by making it thicker. This is music to my ears! Coming in at £1.99 for 6 biscuits, they certainly air on the luxury side of things. Bahlsen Crunchy Mint Choco Moments combines thick dark chocolate with crunchy peppermint flavoured sugar pieces which is placed directly on their iconic crisp buttery biscuit. These are some sizeable good looking biscuits, aren’t they? I knew these were going to be crisp and crunchy but they seemed even more so than I imagined. The mint was intense and strong but complemented well with the bitterness from the dark chocolate. Really you cannot go wrong with mint chocolate, it is a winning combination and that is certainly the case here. The biscuit is of course a good carrier of the two flavours and there isn’t much to say other than it was crunchy and buttery as you come to expect from Bahlsen. 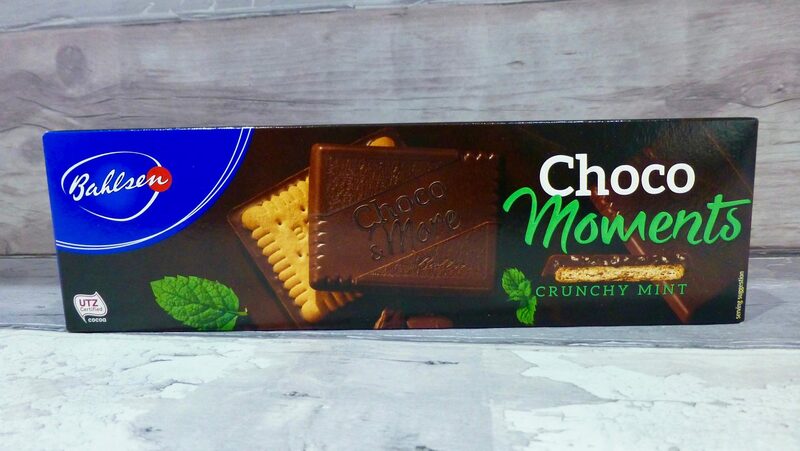 Bahlsen Crunchy Mint Choco Moments are certainly chocolate with biscuit rather than biscuit with chocolate. Delicious, indulgent, this isn’t a biscuit you are going to start dunking in your coffee or tea, they would work as a nice treat after dinner or afternoon tea. Have you tried the new Choco Moments? What are your thoughts? If you fancy giving these new Choco Moments a try they are now available in all major supermarkets.